Step 4. In the add Themes page, click “Upload theme”, then click “Choose File” to browse for the theme installation file in [path-to-your-downloaded-package]/Installation File/VideoPro.zip). Click “Install Now”. Step 5. 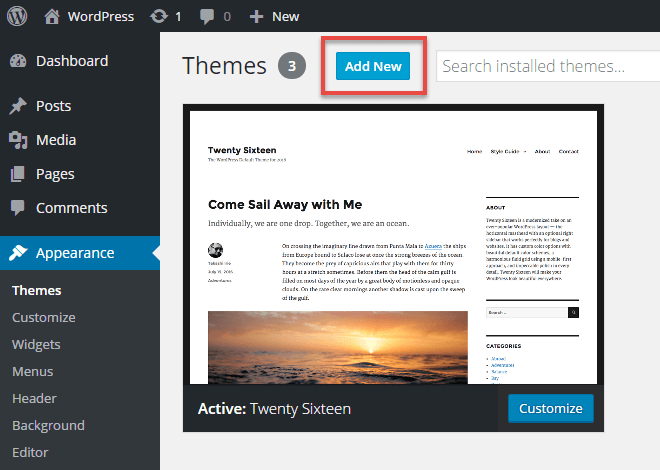 After installed successfully, click “Activate” to make the theme active.